Dr. Andringa received a bachelor’s degree in psychology from Dartmouth College, a master’s degree in Health Policy and Management from the Harvard School of Public Health, a PhD in Sociology (with a dissertation looking at the efficacy of enhanced prenatal care services for low-income women) from the University of Michigan, and completed a postdoctoral fellowship at UNC-CH in Interventions for Preventing and Managing Chronic Illness. 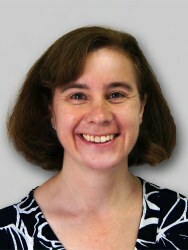 Her primary responsibilities at UNC Horizons include grant writing and monitoring, program implementation and evaluation, overseeing the Quality Improvement (QI) program, and compiling data for and completing the annual report for the NC Division of Mental Health, Developmental Disabilities and Substance Abuse Services. Prior to coming to UNC Horizons Dr. Andringa worked at the Center for Women’s Health Research at UNC where she led or co-led large program evaluation projects, worked as a grant writer, and conducted research related to reproductive health, postpartum depression and breastfeeding.